AE have reimagined a small piece of city in central Salford. 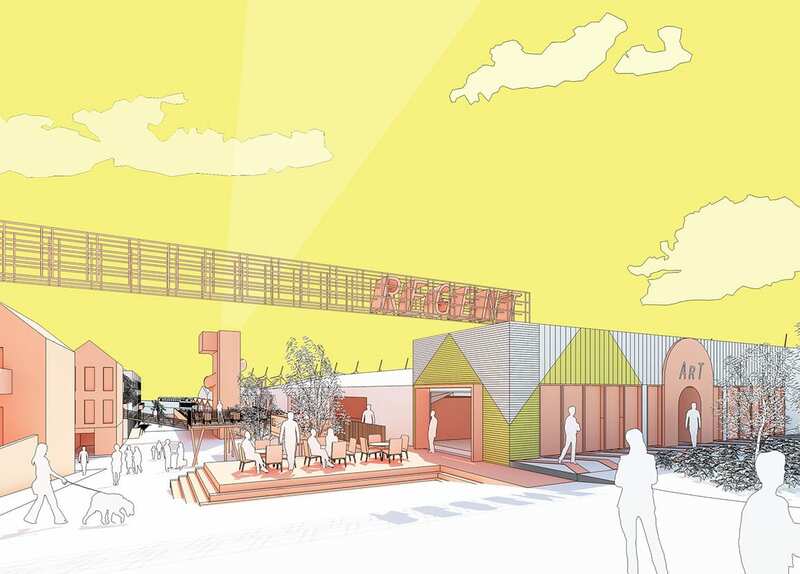 Currently a series of warehouses, it is proposed they are transformed to form artist studios, retail space, bars, restaurants, live/work spaces, a music venue and art gallery. The initial phase inhabits and extends affordable artistic uses within the warehouses utilising Jaaga temporary racking solutions to form adaptable artist studios and a venue with gallery. The second phase should transform the area from its current utilitarian feel, to a more distinct, open, welcoming environment focused on creativity, enterprise and enjoyment. 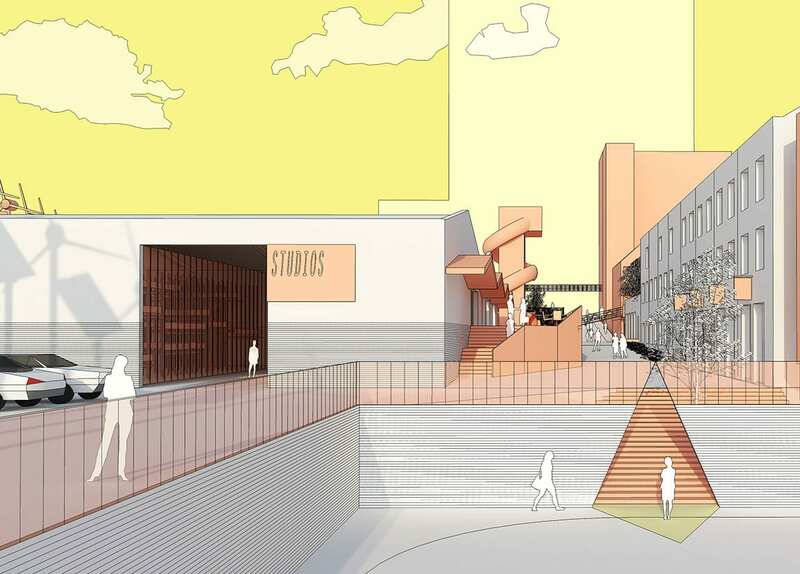 Proposals include a pedestrianised thoroughfare through the site, which operates on multiple levels. A new high street with small retail units that echo on site artistic uses and lost traditional shops will be focused on making and selling. The shops will sit alongside studios, cafes and bars. Landscape interventions add a sense of fun to the development and are focused on play. A terrace of tall live-work studios will make use of an existing car park site alongside the mills. 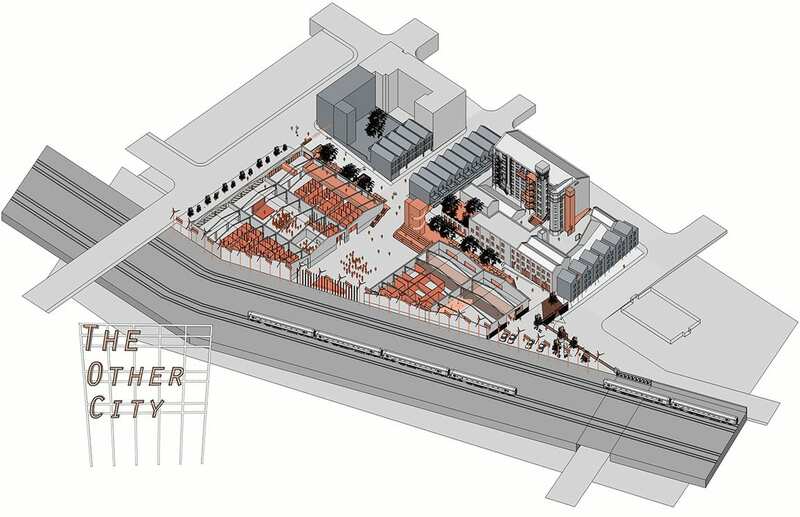 The transformation of adjacent sites to include both high quality housing and studio space continues the theme of ‘The Other City’ in new ways that build community and character.